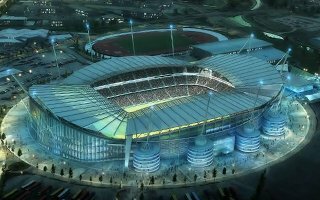 Lang O'Rourke, the company behind Etihad Stadium's construction, was selected to add 6,250 seats to the ground's south end. 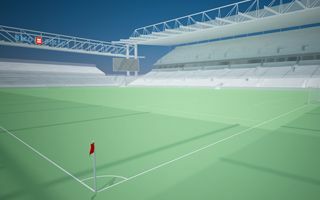 Works are expected to begin very soon and hoped not to obstruct matchdays. 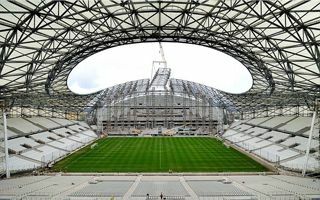 While inside Premier League games draw sell-out crowds, outside the stadium's east side is earning a new second tier of seating. 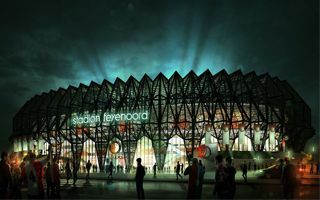 This unusual expansion may from now on be seen at StadiumDB.com. 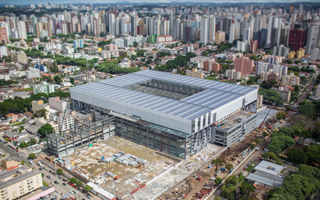 It's the third casualty in Sao Paulo's Itaquera district and seventh at World Cup stadiums overall. This time rescue efforts proved futile after Fabio Hamilton da Cruz fell almost 8 meters down. 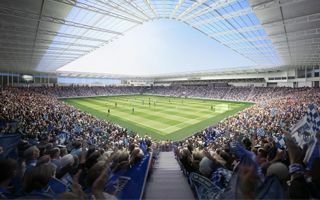 As one fan-owned club is building their stadium, another group of supporters ends the 18-month long preparation and hope to get the council's green light. 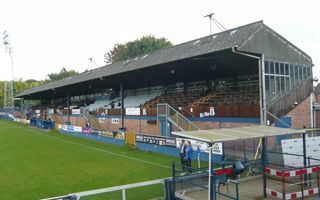 Worcester City fans are to file planning application for their new 4,000-capacity home. 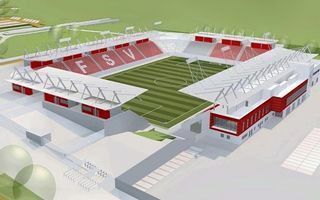 With FSV supporters and officials in attendance, the Zwickau city council voted in favour of the new 10,000-capacity stadium. 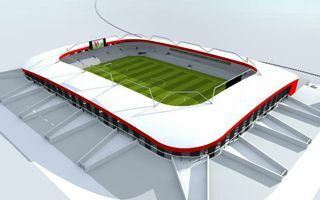 Preparatory works may start this autumn, delivery hoped for 2016/17 season. 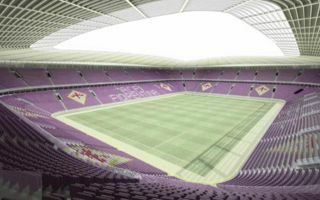 As Orlando City prepare to be the next expansion team of the MLS, work on new stadium is also hoped to begin in May. 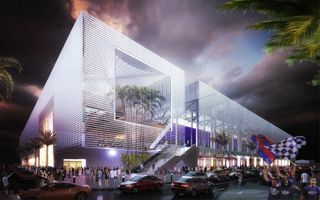 Official renderings are still kept secret, but local WFTV got ahold of the ground's construction agreement. Most of them were already interviewed. 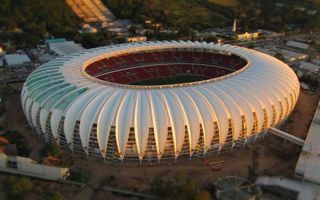 All 13 are suspected of various offenses, from perverting the course of justice to manslaughter. 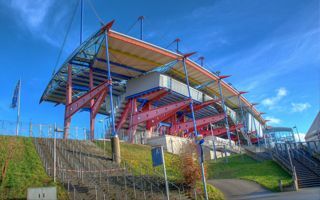 28.03.2014 Germany: Kaiserslautern stadium too big? In yesterday's TV program an unexpected statement came from 1. FC Kaiserslautern CEO Stefan Kuntz. 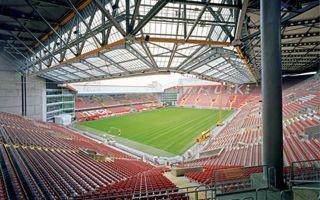 The official said Fritz-Walter-Stadion is too big and too expensive for his team to use. 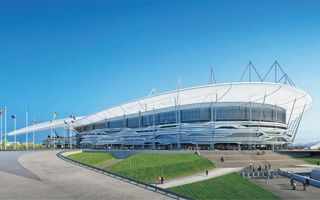 The consortium behind Hamilton's new stadium warns of setbacks in the project's delivery. 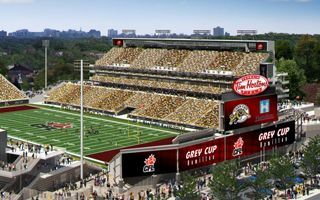 Weather conditions and subcontractor bankruptcy are the reasons, but opening remains set for the Tiger-Cats' first home game. 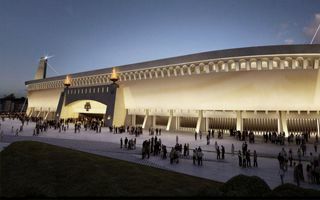 A modern rendition of the Coliseum, of traditional Roman piazzas and and the atmosphere of Curva Sud. 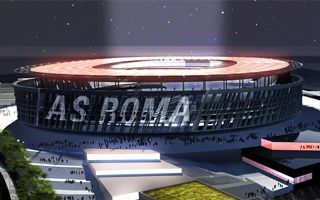 Joined by maximised revenue streams and green technologies, the new AS Roma stadium should live up to all expectations. 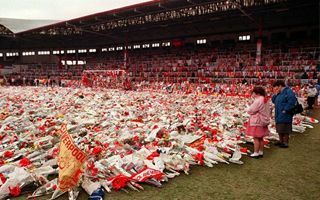 Liverpool FC send out an open invitation to all sports fans worldwide who wish to pay their respect to 96 victims of Hillsborough. Everyone may send their scarf, which will decorate Anfield on April 15. 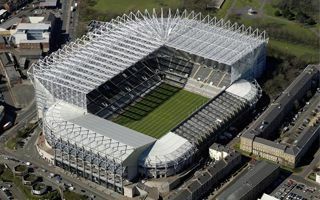 24.03.2014 Newcastle: Owner to block St. James' Park expansion? 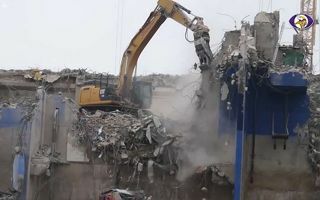 Mike Ashley again comes under fire as supporters reveal he ordered the sale of Strawberry Place lease for proivate development. 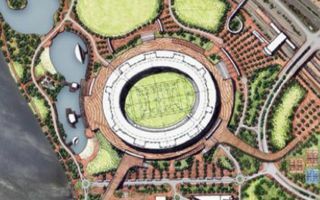 The site is Newcastle United's only option of expanding St. James Park further. 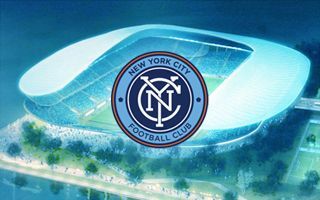 New York's youngest sports club has just presented its official badge. 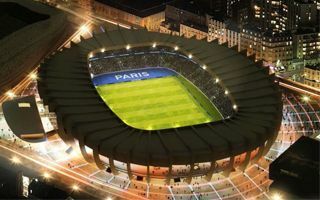 The sister-club of Manchester City's next step will be the new (temporary) stadium presentation. 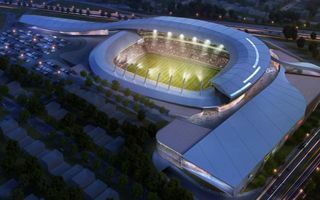 An MLSSoccer.com report. 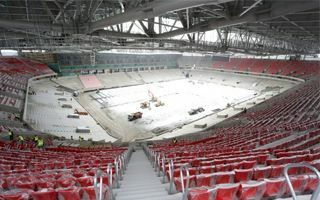 23.03.2014 Moscow: Ukrainian crisis to affect Otkritie Arena's opening? 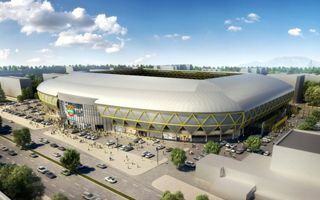 22.03.2014 Athens: AEK stadium groundbreaking in May? 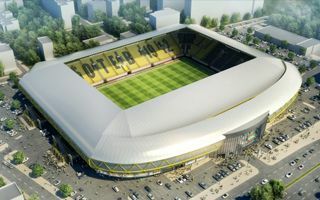 After consultations there's already a ministerial signature to allow the new AEK stadium. 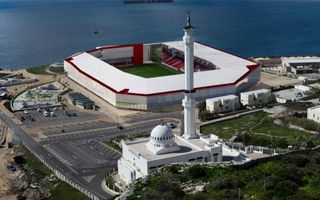 Three more are needed for construction to begin, but AEK hope they'll be able to break ground in May. 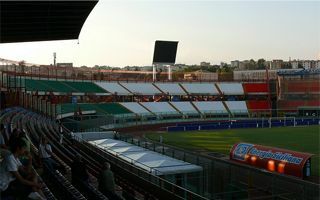 On Thursday Calcio Catania president Antonio Pulvirenti signed a deal crucial to the club's future. 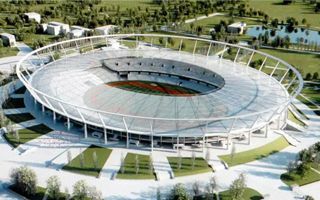 He bought 50 hcetares of land for the new stadium west of the city. 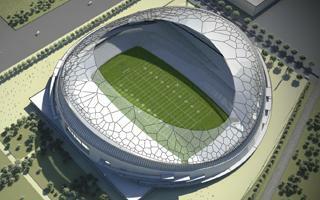 Construction should start in 2015. 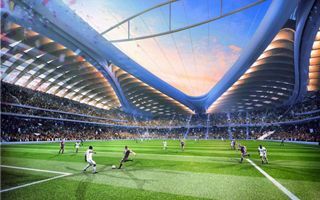 In less than three weeks citizens flooded the mayor’s office with over 27,000 emails expressing support for the new DC United stadium. Its fate it still unclear, though. 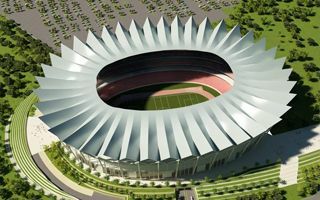 Today it’s Qatar’s national stadium, but ahead of the 2022 World Cup Khalifa Stadium will lose its role to Lusail’s new arena. 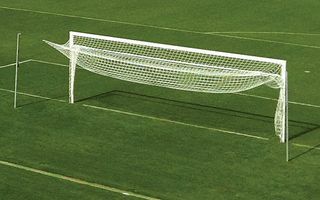 But this doesn’t mean a loss in standard, quite the contrary! 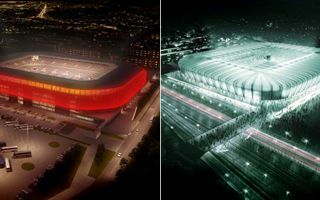 Almost 20,000 new seats and 48,000 sqm of new floor space – this is the plan. 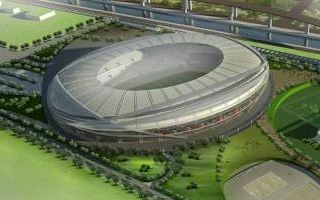 17.03.2014 Jakarta: Construction of Stadion BMW to start in March? 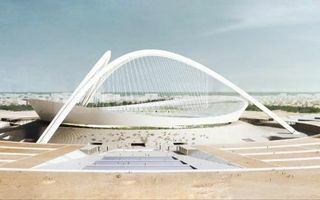 Groundbreaking ceremony should be only days away, though no date has been officially selected so far. 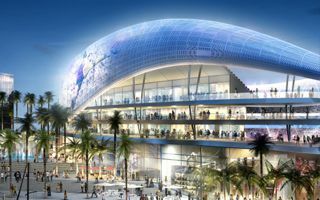 After months of delays the 50,000-giant is still surrounded by uncertainty. 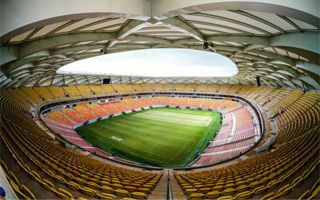 Catastrophic scenes unveiled yesterday at Nigeria’s national stadium in Abuja. At least 19 people were killed, dozens are injured, some critically. Interior minister claims they should blame… themselves. 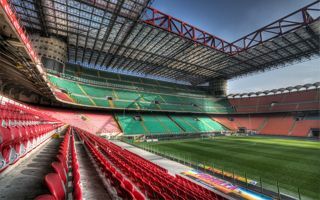 As previously declared, AC Milan have officially confirmed their interest in acquiring part of Expo 2015 land in north-western Milan. 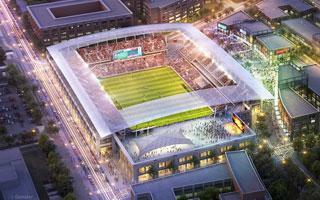 This is where the new 55,000-capacity stadium will be built. 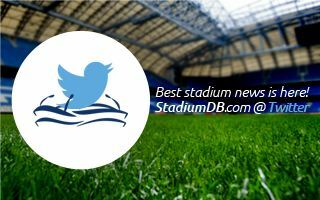 16.03.2014 StadiumDB.com: We’re also on Twitter! You follow us here (thanks! 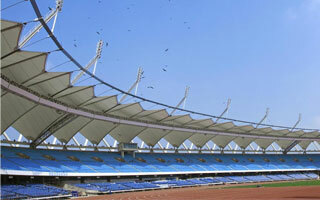 ), check latest updates on facebook. Now we’re also on Twitter, to bring you shorter and only most interesting content. 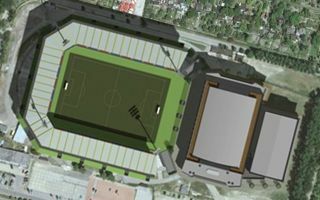 15.03.2014 Stadium and design: Upcoming relocation for Cambuur? They’ve just been promoted to Eredivisie first time this century. 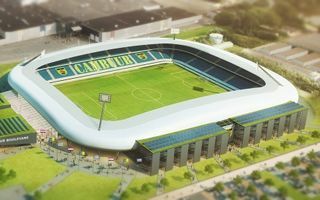 And already half a year later SC Cambuur have very solid plan of building their new stadium and remain a competitive top flight club. Later than expected initially, but the selection was finally made. 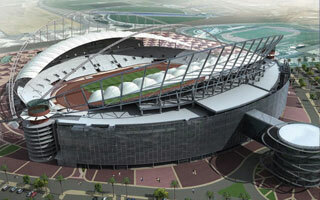 PCL Construction Management will deliver the $280 million stadium, designed by B+H Architects. 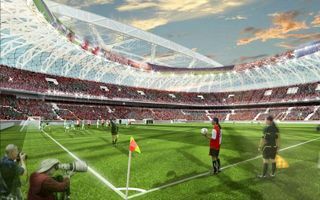 15.03.2014 London: Final approval for Lionel Road Stadium! 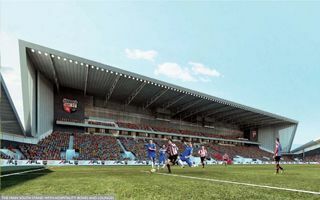 Third and final approval was granted yesterday for the Brentford FC project. 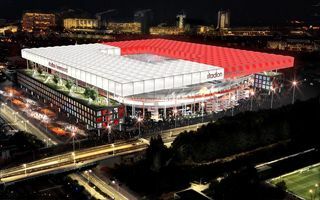 This means The Bees are the second London-based club to get a new stadium after Arsenal. 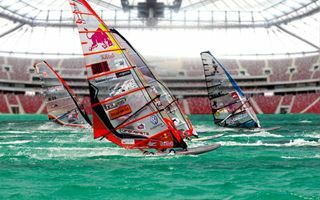 Poland’s largest stadium is expected to set new record as the largest ever venue for indoor windsurfing event. 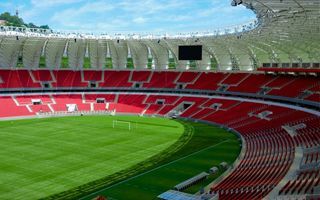 3,000 tons of water will fill the playing field, while 34 large blowers will create the wind. 13.03.2014 Poland: Białystok roof to collapse or not to collapse? This has been the question for weeks. Former contractor accused the design of severe flaws that may lead to tragedy. 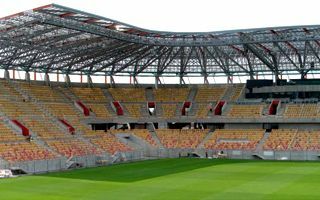 But no expertise confirms that the roof structure in Białystok could fall onto the stands. 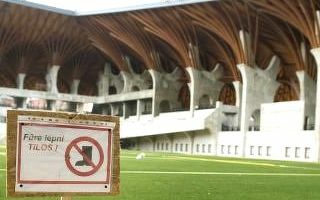 Despite very generous funding, Russian World Cup stadiums suffer from very severe setbacks. 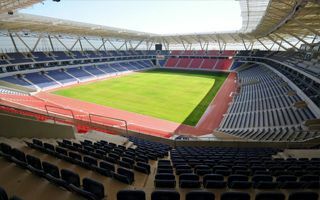 Sports Minister admits there’s trouble in every region. Unless all projects get under construction this year, heads will roll. 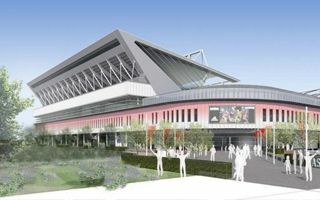 Apart from a new east stand theNorthampton stadium will get a conference centre and hotel, while residential estate will grow beside it. 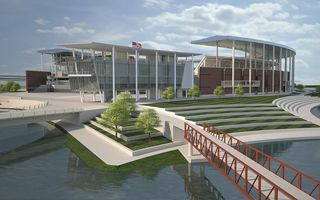 Groundbreaking is scheduled for tomorrow. 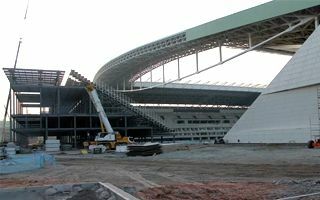 Several hours ago the missing roof fragment was mounted in northern part of Arena Corinthians. 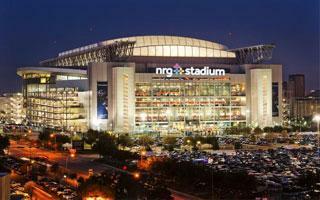 This is where tragedy unfolded in late November. 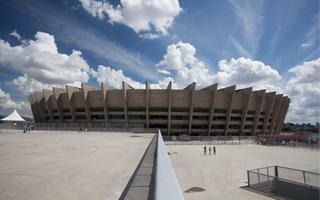 Soon the stadium will reach its final appearance. 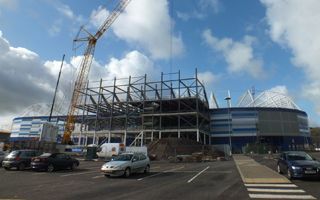 06.03.2014 Coventry: Starting capacity of new stadium higher? 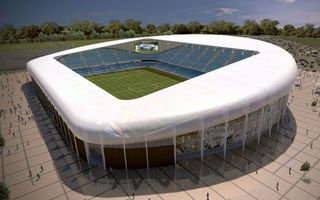 Instead of 12,500, the new stadium for Coventry City may be launched with 15,000 seats, maybe even more, according to CoventryObserver.co.uk. 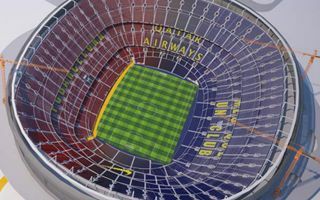 The club wants to find the right balance. 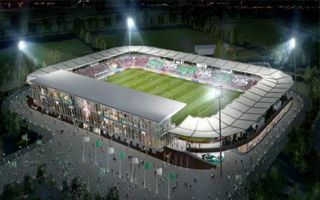 Largest stadium opened in Hungary in decades will hold at least four games in its first month, maybe more. 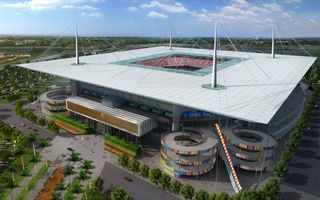 New Nagyerdei Stadion faces intensive launch into operation. 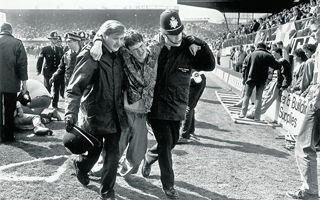 Football clubs often reach out to football fans with various needs. 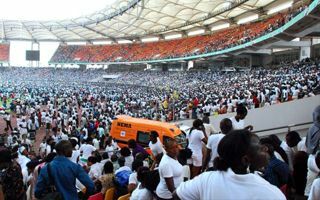 But what may seem like another cleaning works doesn’t usually transform into a traditional pre-season meeting that draws hundreds. 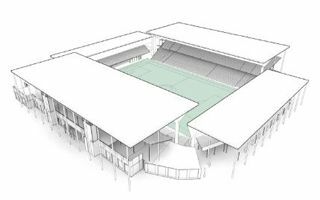 Decision is expected soon on the Belmont Park site, where reborn NY Cosmos hope to build their future home. 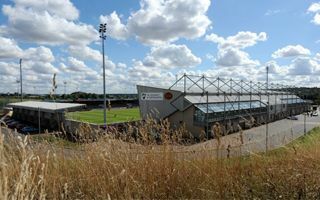 The football club has three counter-bidders, Empire of Soccer informs. 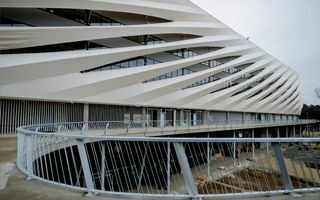 The unique stadium in a village outside Budapest is almost ready and awaiting opening in less than two months. 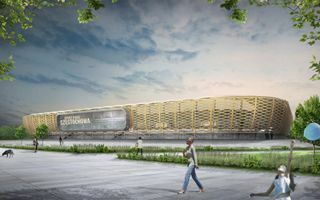 The spectacular roof looks just as planned and presented in renders. 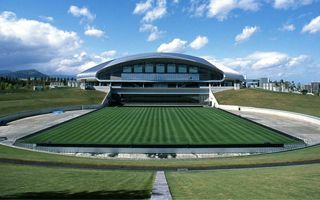 Already this summer Canadian football players move here. 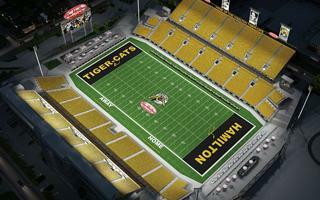 Then next year association football will see its first games at Tim Hortons Field. 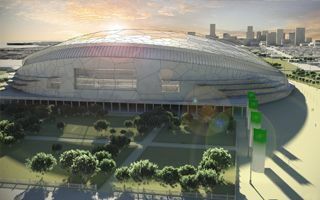 The new $146-million stadium is four months away from delivery, so be sure to check it at StadiumDB.com from now on!